Pain that stems from tooth decay or any type of dental problem can be severe in nature and cause you to want to rip your hair out. Emergency Dentists USA has taken the time to provide you with emergency dentist options in Overland Park. These dentists are experienced in handling all types of dental emergencies from a chipped tooth to a broken jaw. In addition to 24-hour dentists, you will also find an array of walk-in clinics and after hours facilities that are ready to meet your needs and provide you with the best dental care in Overland Park and beyond. Find the relief you need and browse the list of Overland Park emergency dentists below. It was so simple, I was actually amazed! I had chipped my tooth pretty bad and knew my dentist wasn’t open so I called this number and was given several dentist who had after hours appointments available in OP! In Overland Park, you will find that one option available to you is a walk-in clinic. This type of facility is ideal for patients who need to be seen, but they do not have an emergency. You do not need an appointment to head into this type of office and you will find that they provide you with the care you need until you can follow up with your general dentist. Another option is an after-hours dentist. These dentists work later into the evening and on the weekend to ensure you receive the care you need. Patients with a slight to moderate dental emergency can benefit from one of these offices. In Overland Park, after hours dentists are open throughout the week until about 7:30 pm and on the weekends until mid-afternoon. Emergency Dentists USA has worked hard to provide you with emergency dental options in your local area. Take a moment to browse through the listings and find a dentist that meets your needs. After you choose a dentist, check out our informative section about how to prepare for your emergency dental appointment. Description: Get in touch with our professionals on the dental hotline now, and we’ll get you in an after hours dental chair quickly. 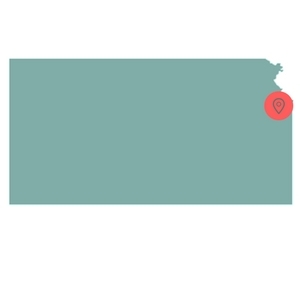 You can get emergency dental help in Kansas fast. Description: We realize it can be tricky to find a reliable dentist whose hours can accommodate your needs on a Saturday or Sunday, but rest assured, if you need a dentist open on a weekend in Overland Park, KS, then go check out Albert Dental. They are a well-known family owned dental practice whose aim is to please you and your loved ones and treat you like one of their own family as soon as you walk in their door. With skills in all areas of general dentistry, Dr. Natanov is well trained to take care of any situation that might crop up suddenly in your life. Description: Overland Park Modern Dentistry specializes in all types of dental emergencies from burns on the roof of the mouth to a knocked-out tooth. Dentists Nagaraju, Squires, and Card are committed to superior dental services in a calm and comfortable dental facility. With the latest and best technology available, you will experience no pain during your appointment and your emergency will be handled as quickly as possible. Description: Dentists Parkin and Watkins have many years of experience in the dental field and are ready to meet all of your emergency dental needs at Comfort Dental. Our facility offers a number of dental procedures from wisdom tooth extractions to implants and more. We happily invite you to walk into our office, as you never need to have an appointment to receive care. Should you experience any type of dental emergency, our compassionate and caring dentists will be there to help you. Description: If you are looking for a dentist that cares about your dental health, you have come to the right place. Dr. O’Neil and Rondeau are prepared to work with you and assist you with any dental problems you may face. They specialize in care throughout Overland Park and can conduct routine dental examination down to serious emergencies such as a knocked-out tooth. If you want to receive the best in dental care, call their office today. If you are unsure of what to expect at your local Overland Park emergency dental clinic, you are not alone. When you arrive for your appointment, do make sure you are about 15 minutes early, as you will need to fill out paperwork and update any information they may have on file for you. You should also have any paperwork, insurance information, and health records available to hand over to the staff. You should know how you plan to pay for your appointment, whether it be by cash, credit, or check. You may also want to inquire about an estimate for the procedure you need to have done. This way, you will know just how much to pay. If you have dental insurance, do make sure the emergency dental provider accepts your specific dental plan. If you have any allergies or you suffer from dental anxiety, you should let the dentist and staff know right away. If you feel any type of pain in your mouth, you may be experiencing a dental emergency. Oral emergencies can vary from severe to minor in nature and all injuries require treatment to ensure your overall health. There are a variety of injuries that can occur from tooth decay to a chipped tooth or broken braces. If you think that you may be suffering from a dental emergency, it is important for you to seek out care from a professional emergency dentist in Overland Park as soon as possible. An abscess is considered to be a serious emergency and should be taken care of immediately. 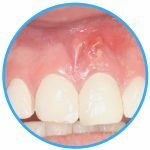 An abscess will develop on your gums near the tooth’s root or between teeth. It is often a small bump that may appear like a pimple, red, and swollen. You should NEVER try to pop or drain the abscess, as this can cause the infection to spread to other areas. An emergency dentist in Overland Park can check the abscess and properly drain it for you. 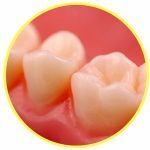 If you have lost a filling, you may be worried and confused about what to do. Fillings can come out of your mouth when you eat a sticky substance such as caramel or when the structure of the tooth has been compromised. The first thing you want to do is try to recover the filling and then rinse your mouth out with warm water. You have two options to fill the hole. You can place a piece of sugar-free gum in the hole or you can use an over the counter dental cement. 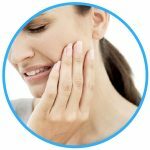 An emergency toothache can arise at any time and it can be caused by a variety of dental problems. The two most common causes of an emergency toothache include decay and an object caught in between your teeth. Should either of these things happen to you, you should rinse your mouth out with warm water. If you think there is an object caught in between your teeth, you should try to floss your teeth to remove the object. Before your emergency dentist in Overland Park extracts your tooth, he or she will determine if the tooth can respond to any other treatments first. If not, then the tooth will need to be removed. Just keep in mind that tooth extractions are the final option for dentists. The emergency room is a place for people to go when they have emergencies and if you are suffering from serious tooth pain, you can head to your local ER. You should keep in mind that your local ER will not always be able to provide you with the exact care you need, but they can look at your mouth and ensure you are not in serious medical danger. A local emergency dentist office is the better choice for you, as they can provide you with the care and procedures you need. Emergency dentists can handle all types of emergencies that arise from a broken tooth down to a root canal. If you think you have a medical emergency that involves your teeth, you should head to your local ER. Often times, you do need to see a medical professional and should call 911 if you may have a life-threatening condition. Some of the conditions that warrant a trip to the ER include a broken jaw, trauma to the mouth or head, accident-related injuries. If you think you may have a dental emergency, you do not want to wait and see what happens, as this can lead to the problem getting worse. It is recommended that you visit an emergency dentist the moment you realize there may be a problem. Emergencies can happen quickly or they can form over time, but no matter what, you need to seek out the proper care from an Overland Park emergency dentist. Emergency Dentists USA is a website designed to provide you with dental information only. The information you find here should never be used to replace or substitute the advice of a medical professional. If you have a dental emergency, call 911 or visit your local ER right away. If you have never visited your chosen emergency dentist in Overland Park, it is advised that you check out the Kansas dental society to ensure the dentist has all of his or her licenses and credentials. You can also check out the Kansas Dental Board or perform a license verification search through the Kansas government website. Most dentists will display their licenses and degrees in a conspicuous place within their dental practice, but not all do, so it is best to check before you go.